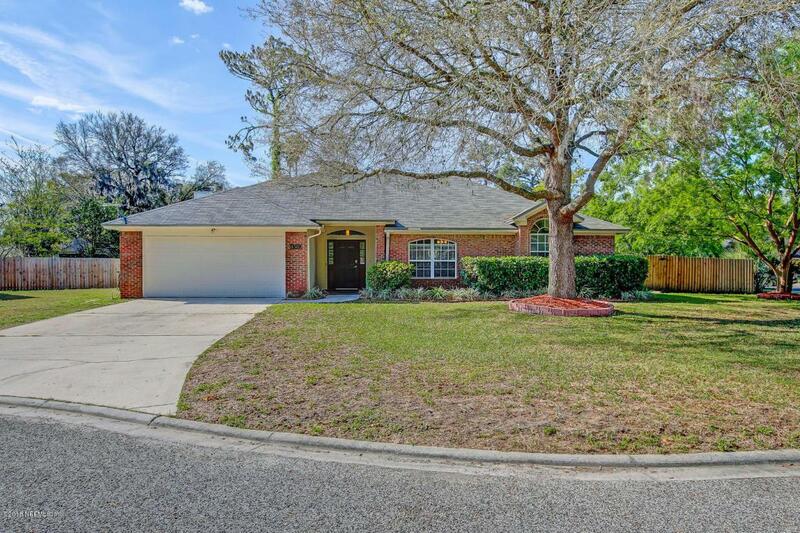 This move-in ready 4/2 home sits on an almost 1/3 acre corner lot in an ideal Mandarin location, short drive to a public boat launch, shopping, great public & private schools & I-295. 4 yrs young roof sits over an open floor plan featuring oversized bdrms, incl. 1 bdrm w/a Murphy bed & built-in's. A brick fireplace w/hearth & mantle warms the Family Rm. Huge Master Bath offers a garden tub, sep. shower, 2 sink vanity & walk-in closet. Big open Kitchen has SS appls & loads of counter & cabinet space. Neutral 18'' easy care tile in Foyer, Kitchen, Family Room & baths. Large screened Lanai & patio overlook a huge double-gated fenced backyard that has a nice play area & above ground pool. 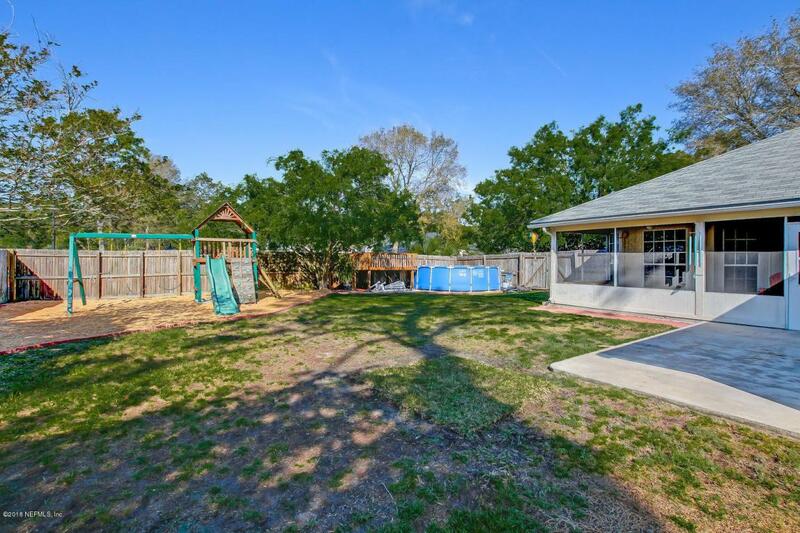 Plenty of room for an inground pool, garden & pets too! 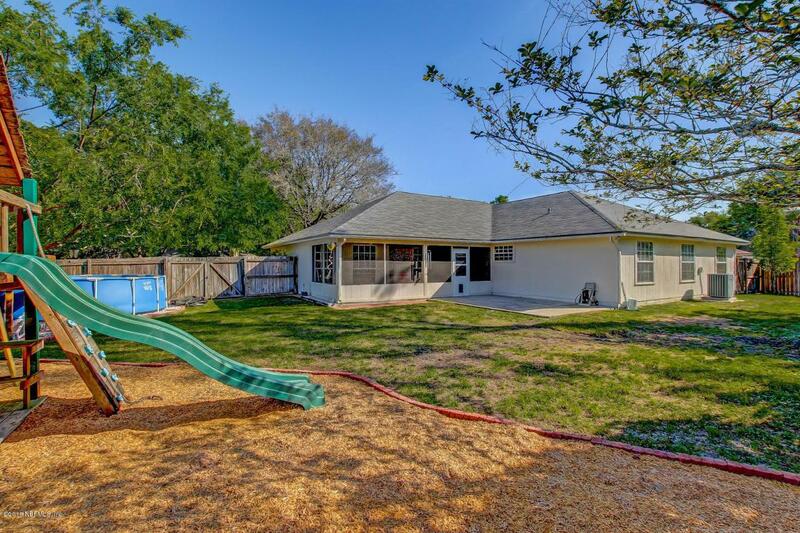 Residents enjoy comm'y playground & picnic area.Volume, tray and vaulted ceilings plus many architectural details make this home seem much larger than the square footage suggests. 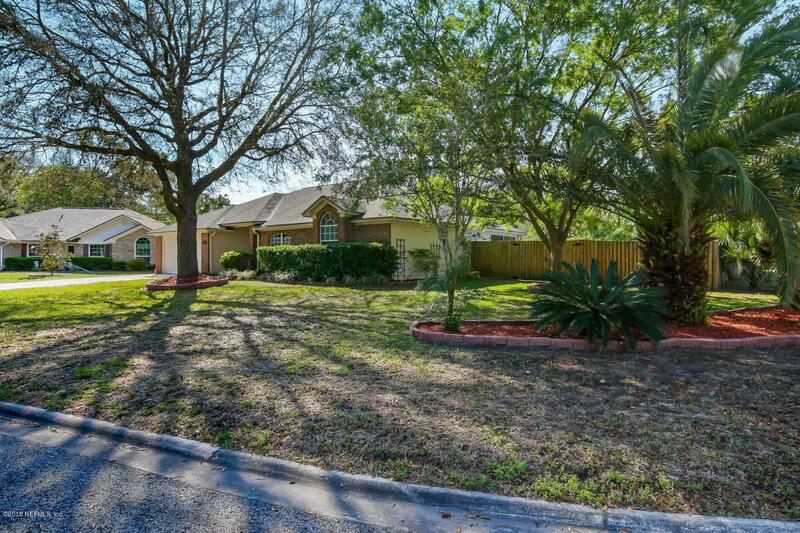 This is a well-maintained home in a low HOA fee established neighborhood. This is one of the larger lots in the community.